Our Lady of Refuge employs a well-qualified and faith-filled faculty. They uphold the school’s shared ideals of excellence in education and they guide their students towards becoming holistic young individuals. Mrs. Lynn Demonte was born and raised in San Pedro, California. She holds a B.A. in Liberal Studies, with an emphasis in Sociology, and a Multiple Subject Teaching Credential. In the past, she has worked with children through a variety of teaching experiences: teacher at Day­Star Early Learning Center in San Pedro (1987-­1992), Kindergarten and Fourth grade teacher for the Long Beach Unified School District (1992-­1996), Kindergarten teacher (1998-­2000), Part­-Time Categorical Teacher for grades 4­-6 (2004-­2010), and substitute teacher for grades K­-6 (2010-­2012), all in the Garden Grove Unified School District. Now she has been blessed to be the Transitional Kindergarten teacher here at OLR since it first opened in August 2012. Each child is a unique individual and she believes, as an educator, it is her responsibility to provide an environment that meets their needs in order to help reach their fullest potential. Mrs. Courtney Barrett was born and raised in Southern California and has over 18 years of teaching experience. She attended Baylor University in Waco, Texas where she graduated in 2000 with a Bachelor of Science in Education with an emphasis in Reading Instruction. 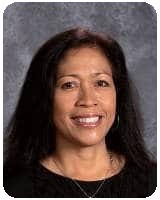 She taught Kindergarten, first and second grade for Los Angeles Unified School District from 2001-2007 and received a Multiple Subject Teaching Credential from California State University Dominguez Hills during that time. In 2007, Courtney left her teaching position with LAUSD to focus on growing and raising her family. Courtney was offered the unique opportunity to run a private preschool readiness instruction program where she designed and taught classes through Long Beach Parks Recreation and Marine successfully for ten years. This job allowed her to still pursue her love of teaching while having more time to be at home with her children. Courtney returned to teaching in the classroom full time in 2016. She was offered a kindergarten teaching position at Holy Innocents Catholic School in Long Beach where she taught for two years. In the Spring of 2018, she completed an accelerated Induction Program from Mount Saint Mary’s University in Los Angeles where she received her Clear Multiple Subject Teaching Credential. She is thrilled to have joined the Our Lady of Refuge Staff and Community and continue her passion for teaching Kindergarten. She believes in the importance of helping her students develop a passion for learning while providing a rigorous and exciting program in a faith-based environment. Ms. Moreno (now Mrs. Garalde) is from Lake Forest, California. She grew up always wanting to be a fashion designer and went to Cal State Long Beach to pursue her dream. After finding a new love in Christ, she decided to devote her life to serving God. This ultimately led to a career in teaching where she found a new passion for living and serving like Jesus. She completed her BA in Liberal Studies at Cal State Long Beach. Then moved on to receive her Teaching Credential and MA at Loyola Marymount University. Ms. Moreno loves getting to know all of her students and believes that the positive relationships will ultimately lead to growth. When she isn’t teaching she is with her dog, Rosie, hiking, or cooking. Erin Shipman is the youngest of 8 children; she has been married to her husband Jason for seven years and is mother to two girls, Sofia and Abigail. She is graduate of Bishop Montgomery High School and Cal State Long Beach, where she received her B.A. in Liberal Studies with a minor in Child Development. While attending college, Erin cared for school-aged children in an after-school program, worked as a teacher’s aide for Long Beach Unified School, and taught early education at a private school. These experiences helped Erin prepare for her elementary school teaching career. She came to Our Lady of Refuge from Holy Trinity School in San Pedro where she taught for 12 years. Ms. Grace Ruiz was born and raised in Venice Beach, California. She is an alumnus of the Catholic School system and comes from a family of educators. While she was originally studying to become a Pastry Chef, she had a change of heart and decided to dedicate herself to children and their intellectual growth. She has a Bachelor of Arts Degree in Early Childhood Education and is working towards her Multiple Subject Teaching Credential. She has been teaching third grade for the past five years and feels the most comfortable when she is in the classroom with her students. She loves teaching this age group because they are full of curiosity and ready to learn new concepts. Her favorite subject to teach is reading and she enjoys watching her students gain a new understanding for literature as the year progresses. When she isn’t in the classroom with her students, she loves spending time with her family, spoiling her dog Pippa, and cooking up a variety of tasty treats in her kitchen. Amanda Goryachev or “Mrs. G” was born in Providence, Rhode Island and raised in Lakewood, CA. When Mrs. Goryachev is not teaching at Our Lady of Refuge she enjoys spending time with her husband, Vladimir, and two sons, Ethan and Robin. She attended St. Cyprian Elementary School K-8 and went on to attend St. Joseph’s High School in Lakewood, CA. After High School Mrs. Goryachev went on to attend Cal State Dominguez Hills where she earned her B.A in Liberal Studies with a minor in Art. In 2014, she obtained her Pastoral Music Certificate from Loyola Marymount University. Prior to teaching the fourth grade, Mrs.G was the Music and Art teacher at Our Lady of Refuge. She absolutely loves teaching and feels so lucky to get to be a part of wonderful community of OLR. Mrs. Nancy Zipperian, also known as “Mrs. Z.”, has lived in Long Beach for over 17 years. She is an active parishioner at St. Bartholomew’s Catholic Church in Long Beach, where she taught religious education in 3rd and 4th grade for 9 years. In the past, Mrs. Z was a 5th grade teacher for both Cypress and Savanna School Districts in Orange County for 9 years. She took a break from teaching to be a stay at home Mom for her and her husband’s young son, who is now a senior in high school. 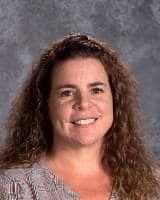 However, she remained active in education by volunteering in her son’s schools and teaching at times for Savanna School District, as well as serving on the PTA Boards. 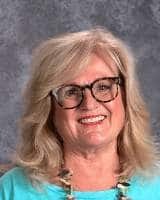 She returned to teaching for the past four years, substituting in grades TK-6 at Savanna School District, Our Lady of Refuge School and Holy Innocents School in Long Beach. 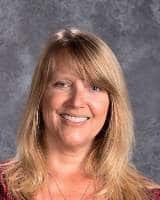 Mrs, Z says that she feels so blessed and thrilled to be teaching again full-time at such a wonderful school! Mr. Christopher Romano was born in Long Beach, California. He attended Saint Cornelius Catholic School and Long Beach Wilson High School. He went on to college at Michigan State University where he double majored in History and Political Science and earned a Bachelor of Arts. Mr. Romano is currently working on his M.A. in Modern European History at CSULB. 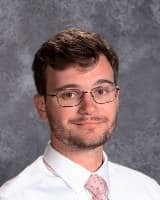 Mr. Romano is in his third year of teaching, all three of which have taken place at Our Lady of Refuge. This past year, Mr. Romano also served as the assistant coach for the A Flag Football team. Mrs. Katie (Coppola) Pierce was born and raised in San Pedro, California. She holds a B.A. in Liberal Studies, with a concentration in Children’s Mathematics (CSU Chico), a Multiple Subject Teaching Credential (CSULB) and an M.A. in Special Education (LMU). Mrs. Pierce started out as a Teacher’s Assistant at South Shores Magnet School in San Pedro. She quickly earned a position as a 1:1 assistant in Special Education. From there she taught Math and Science for several years at Mary Star Elementary School and Holy Trinity School. Mrs. Pierce also taught at Celerity Education Group Charter School for several years in 2nd grade and 6th grade. Since 2016, she feels blessed to be OLR as the Math and Science teacher, Science Fair Coordinator and Academic Decathlon Coach. In her spare time, Mrs. Pierce loves to garden, cook, craft and go on bike rides. Mr. and Mrs. Pierce happily live in Lakewood with their 2 cats. Mrs. Margaret Kennedy is a Long Beach native. She grew up locally in a very large and loving Catholic family. 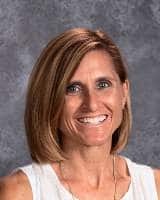 Mrs. Kennedy credits her ability to connect with each student’s learning style a byproduct of being among so many different personalities throughout her childhood. Her desire to be an educator was apparent at a very early age; of course, she was always the teacher when playing school at home with her many siblings! Mrs. Kennedy graduated with a Liberal Studies Major: English emphasis from CSULB. After graduating, she married her high school sweetheart and began a family of her own. On the career front, Mrs. Kennedy was initially hired as a substitute teacher with LBUSD. 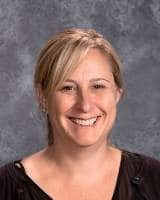 From there, she was hired as a teacher at St. Cornelius Catholic School; the majority of that time working as the language arts teacher in the junior high. Within that time frame, and with the encouragement of her family and friends, she earned her Multiple Subject Teaching Credential through Cal. State Univ., Los Angeles. All four of Mrs. Kennedy’s children have attended Catholic schools in Long Beach from kindergarten through the eighth grade. She feels that the connections and support that are infused within a Catholic education are priceless. “There are not many places where a child can grow, learn, socialize, and pray within a group of their peers. In a Catholic school environment, we can do all of that.” She feels very fortunate to now be working at OLR teaching the subjects that are the closest to her heart. Mr. To was born in Hilo, Hawaii and raised in Orange County, California. 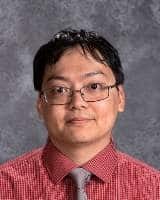 He earned a Masters of Science Concentration in Educational Technology, Multiple Subject Teaching Clear Credential with English Learner Authorization, Single Subject General Science Clear Credential, Single Subject General Math Clear Credential, Google Certified Educator, and CompTIA A+ Certified Computer Professional. Mr. To worked as a computer instructional aide and substitute computer technician at Westminster School District for five years. He has taught at Westminster School District, Long Beach Unified School District, ABC School District, Santa Ana Unified School District, and the Diocese of Orange during his seven years teaching. Mr. To is grateful being part of the OLR family. He enjoys teaching students and mentoring other educators with technology if he is not busy fixing something. 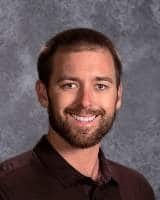 He creates projects and activities including computer science, robotics, app development, 3D modelling/printing, augmented reality, digital media and STEM that is aligned to the Common Core, ISTE, and Next Generation Science Standards to help students develop 21st Century skills through hard work, determination, and faith. Bernadette Chappell was born in raised in Orange County, California in a faith filled Catholic family. With her undeniable interest in music, she began taking piano lessons at the age of six and continued to pursue musical opportunities through the church choir as well as playing flute and piano in weddings. Along with all these experience she received performing in concerts, weddings, competitions, and accompanying opportunities, she really was drawn towards teaching. She started teaching music classes to preschoolers, and has been teaching private piano, flute and voice for the last 9 years. She also has brought many students through a rigorous piano test involving, theory, performance, history and technique through the Music Teachers Association of California. She assistant choir director for the Spanish Choir at St. Killian Catholic Church for which she assisted the choir as well as accompanied on piano and guitar for the masses. She recently graduated from Cal State University of Fullerton with a Bachelors of Art in Piano Pedagogy. She is very grateful for the many opportunities she has received to grow as a musician and a teacher through the Catholic Church. Drew Watson, also known as “Coach Watson”, was born and raised in Bakersfield, California. Drew moved to Long Beach to attend Long Beach State in 2011. He received his B.A. in Kinesiology: K-12 Physical Education and his Single Subject teaching credential at Long Beach State in 2016. Coach Watson is a strong believer in the idea that sports are a great way for students to explore motor skills and build friendships. He also believes that Physical Education is needed more than ever in the world we live in today. This is due to the amount of technology that has been introduced to the children of America. Drew has coached many sports: basketball, baseball/softball, football, and badminton. He also played multiple sports when he was growing up in Bakersfield, Ca. In his free time he loves to: play sports, ride his bicycle, workout, and go camping/hiking with friends. Coach Watson is very excited to be a part of the OLR family and hopes to make an impact at OLR through exercise and Physical Education.